Do you like The Flintstones? 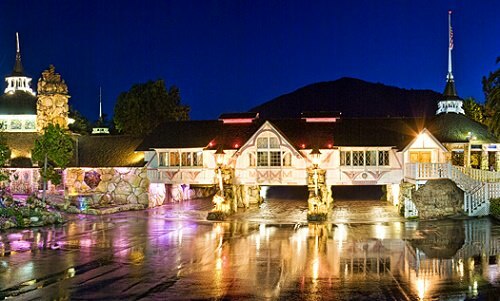 If the answer is “Yes, I do”, you should look at the one of the awesome rooms in The Madonna Inn, which is called “Caveman”. This amazing place locates in San Luis Obispo, California. There are a lot of rooms with their own particular ideas. There are a lot of animal prints and even a rock pond! You can take a shower in the cavern-style bathroom or have a sleep on a king bed. So this is the best place that is carved out of solid rock. Try it, if you really like this idea! So, if you want to add something extraordinary to your trip I advise you to book one of these weird rooms! You will never forget these places! Well, what about you? Which room or suite do you like most? Please share your thoughts in comments!